One of the most uncomfortable movies I’ve ever had to sit through was The Texas Chain Saw Massacre. Granted, my first viewing involved watching it in the living room with my mom in the kitchen next door who had to overhear long sequences of screaming and chainsaw sounds and I was worried she’d get mad at me, but subsequent viewings are just as uncomfortable. As if Tobe Hooper didn’t accomplish enough for the slasher or serial killer genre as he did with TCSM, he managed to change the ghost genre just as much with Poltergeist. Rather than using the generic concept of ghosts, he explored the phenomenon that so many people seem to experience through a more clinical standpoint and dealt with it in a more serious way. There are still huge scares, of course, but the scares are more than just things jumping out at the viewer. 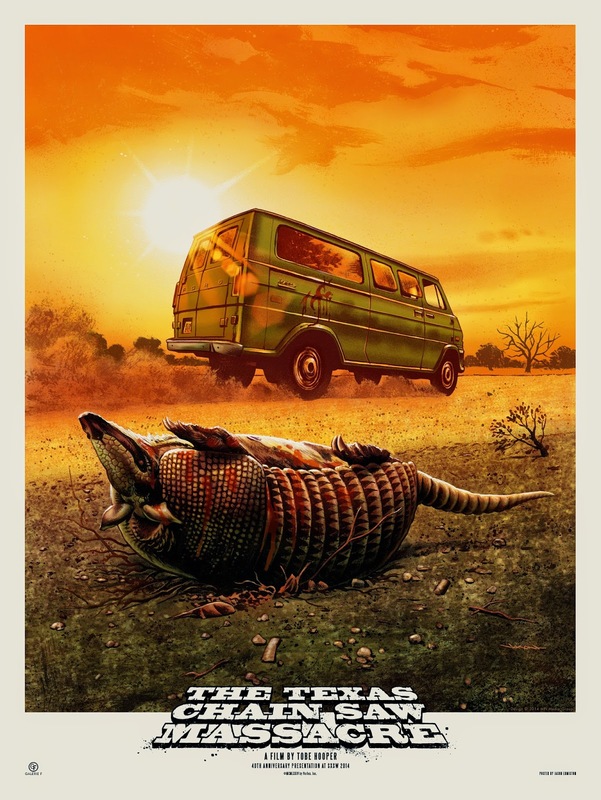 Hooper has had a big impact on horror fans over multiple decades and I was lucky enough to talk to you at South by Southwest where he had just premiered a new restoration of The Texas Chain Saw Massacre. WolfMan: You’re considered a legend in the genre, which might sound intense to hear. I’m sure you’ve had people come up to you telling you that your movie changed their lives, maybe made them want to go into filmmaking. And now, 40 years out from having made Texas Chain Saw Massacre, what does that feel like to have people say these things to you? Tobe Hooper: It feels good. Especially the ones that went into film. That I had some positive impact on them. I mean, can it get better than that? WM: It’s not limited, I don’t think, to Texas Chain Saw Massacre. It’s any number of your films. I’m sure you’ve had such an impact on so many current filmmakers. If you could go back 40 years to give yourself some advice, whether it be industry advice or specifically on the set of Chain Saw, what would you tell your 40 years younger self? TH: I would tell myself something that I couldn’t bring myself to do. Which would be to not let your first film be really, really good. Don’t work quite so hard on your first film. It wasn’t my first film, by the way. I had a million feet of documentaries behind me. I had another feature. Even was on the road with Peter, Paul and Mary, and did a documentary with them. I would tell myself that, because Bill Friedkin told me that and I believed it. But I wouldn’t be able to do it. WM: Is that because you feel like you set the bar so high for yourself and everyone would compare subsequent films to that or is it because you were so exhausted to put so much work into it? TH: It’s career logic. I couldn’t do that. I would have to do the best I could have done. I’m myopic as hell and I get involved, ya know? I love the process. I love the process of the war dance where everyone becomes involved. The spirit of everyone in sync. The energy starts, then calling the shots. Then towards the end, what you’re doing is telling you what you have to do. In a way, it starts taking over. WM: There are so many stories on the Hell of shooting in Texas way back when from the cast and crew, and you have some other films that have stories with studio involvements and the studios taking over or having more say in the film that you wished they had, so how do you feel about the differences between shooting a studio film that gives you more money and less of a say versus doing things more independently where you might not be able to afford as much but get more control? TH: In the past ten years, it’s gotten select position heavy in big budget films. They want to make damned sure that you know they things to employ, there is no emotional experience to it. It’s all about concept. I don’t know, I don’t mind fighting those battles. Over one cut in a movie, one edit, I had to write 40 pages to explain the psychology, and they bought it. WM: So it was worth the fight. TH: They don’t always. I can work both ways. I love the kind of independence with a moderate, a low-budget film, which is still a Hell of a lot of money. It’s these $200 million dollar films that may only be $100 million. Chris Nolan’s doing okay. WM: He’s doing alright for himself. TH: If they see the passion that you have, there are a lot of good people in the big budget film world. WM: So referring to the “studio”, it’s not just some guy saying “No, no, no,” but there are people willing to fight FOR you in the industry. TH: It’s about communication. From the director’s point of view, as well, trying to merge. WM: Out of your movies, from the smaller budgets to the bigger budgets, which movie do you think you felt you were most able to get closest to your “director’s cut” as possible? TH: I don’t really know. I mean, Chain Saw, I got director’s cut because it was the time for directors. No one knew how to do it, that I was working with, other than myself. Some of them, though, it just turned out, it was my cut, but maybe one or two things changed. I just don’t know. WM: You were saying that some of these bigger studio pictures are focused on a concept, it’s because then they can franchise it. The first movie serves as the exposition and then the second movie can get into the meat of it. Of the films that you’ve made, are there are that you’d like to go back into the mythology or make a sequel? TH: I’m not sure. Not that comes to mind, really. WM: You feel you’ve had enough closure with every film that you’ve worked on? TH: It’s time to move forward. WM: You’ve said what you needed to say. TH: Time to do something else. WM: Last year, I skipped watching the Oscars to go to a 70mm film festival, and it was the first time I saw Lifeforce. 70mm, on the big screen, it blew my mind. I went into it relatively cold, not knowing much about it. It was just released on Blu-ray, so did you feel like the movie would eventually get this resurgence and have a comeback in popularity? TH: After a while. It took a couple of years. I did the color grading with Shout Factory. There had been an HD transfer, but it was just too warm, so when Shout Factory got it, I sat and did every shot of the color grading. It really preserved what Alan Hume did with the lighting. I love the look of it. It’s really beautiful. WM: Do you still keep up with current horror films or do you just check ones out that come on your radar? WM: Well I’m sure you’re talking about Texas Chainsaw 3D. I’m sure that’s the one that really changed things for you. One of my favorite things about the original film is how grimy and dirty and filthy it is, it feels like this footage was found and no one should have seen it. What inspired the HD digital restoration? TH: The remake of Chain Saw was made as a period piece, for some reason. When I saw them, as the restoration technology progressed, it looked like it was last year. I thought, it’s 4K, take advantage of this magical technology that we’re coming into. Make it look good. WM: You can have the grimy, original version, but also this crisper version. TH: But it’s still kind of grimy looking. The color grading, towards the end of the film, goes into this iodine look. It’s more brilliant and brighter. You see grain still. Not digital grain. WM: From that “film” stuff people used to use. TH: That’s something I think I’m doing pretty well with embracing. Digital. There are things you can do in post-production that we couldn’t do with film. You can blow the stuff up 200%. It’s something you can do. I’m not really comfortable with that yet. 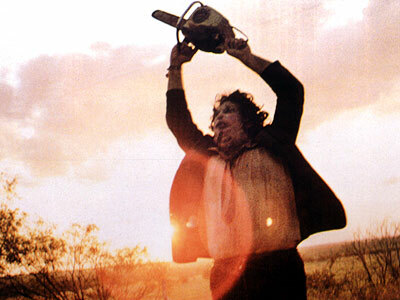 The restored version of The Texas Chain Saw Massacre will be in theaters in select cities this summer.